Whether you like them or not, these Skhothane's are a local force to be acknowledged and probed. 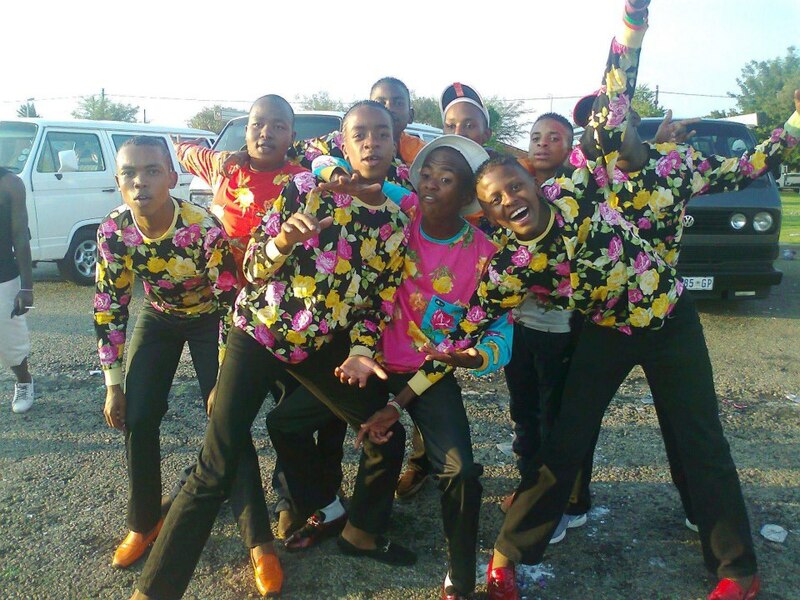 If you don't know who they are, Izikhothane are young township kids, mostly boys who in my opinion are contemporary anarchists of the most fascinating kind. Chris Saunders and I are still uncovering a lot about them, as in what is their deal exactly so I won't tell too much in this post. 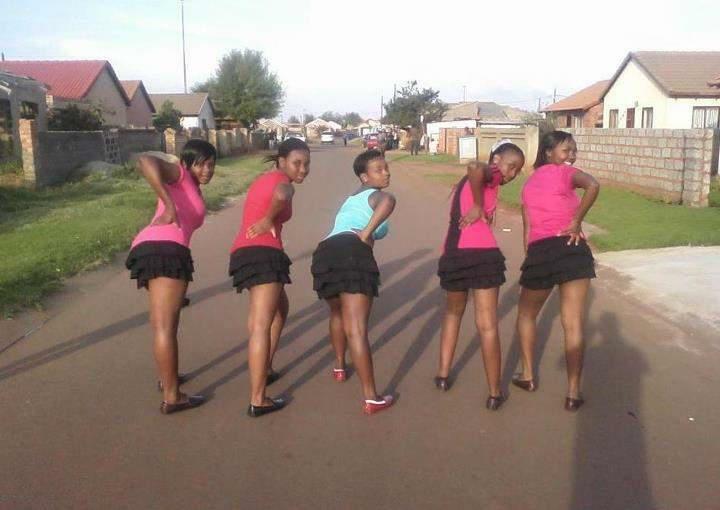 They live in various townships in Gauteng, are all obsessed with this brand called Moreccino which they get made by an old Jewish lady at the top of Carlton Centre and they are completely obsessed with the way they look, a style that is inspired by their obsession with Italy and everything Italian. They became infamous earlier this year when Third Degree did an expose on some of them who burn their clothes with expensive whiskey after dousing them in Ultramel Custard. The reasoning behind this is still an anomaly to me. Not all of them burn their clothes because they actually value their belongings but they get the ones that do burn them. I don't like the way you treated this piece. There's a certain callousness in your voice, that I know also comes with making things digestible to your light hearted audience, though this is serious and sad. Thanks for your response, it is much appreciated. It's nice to have people disagree with things, it makes for interesting reading. I wouldn't really use the word callous when it comes to my treatment of this piece, in fact, I feel the opposite of insensitive when I think of what is happening with these guys, I am very sensitive to discovering what it is before making any serious judgement and that will take me spending more time with them and getting to understand why they do the things they do. Or do you mean the fact that ''I'm uncovering'' something about that that is insensitive. Many things are serious and sad, I dont' think this is both. Serious, yes, but I don't think they do what they do to be felt sorry for nor are they ever going to feel sorry for themselves, despite the fact that their actions don't make sense to others. But I guess this is what makes them interesting, that they can invoke so many reactions, do you know what I mean? Perhaps you can elaborate more on your point? Thanks for responding too, that’s really cool*groupie moment* though I must say Milisuthando [in VUZU Lalla voice] seriouslaaaaahhhhy! How are you missing the social implications of this conspicuous consumption? We know that they can’t afford the labels, so the next question is where do they get the money from? Admittedly I haven’t done a personal investigation, and it’s good that you are, but I have heard that their tactics include intimating their parents (I can just see this kid manipulating their domestic worker mum already) or probably they turn to crime or possibly “sugar daddies” in the girl’s cases. The point is this is an issue of moral degradation amongst our black youth and it’s sad. Obviously they not looking to be felt sorry for nor feel sorry for themselves, they want to be envied and are looking for attention and maybe I am just disappointed at your opinion, it’s like you are leaving room for it to be okay. I can truly appreciate your fascination to probe into their psyche, but I am saddened your tone is rooting it on/laughing at them even. More so as such a respected black voice in the fashion industry, I guess I was just hoping that after exploring the psychological thriller elements of it you would concluded that it is wack and caution us that fashion used in this manner is a form of mass destruction. Think Bantu Biko he must be turning in his grave or God our ‘people are destroyed from lack of knowledge (Hosea 4:6).